Comply with Sarbanes Oxley Act – A simple approach. The Sarbanes Oxley Act (SOX) was enacted by US Congress to prevent accounting fraudulent. 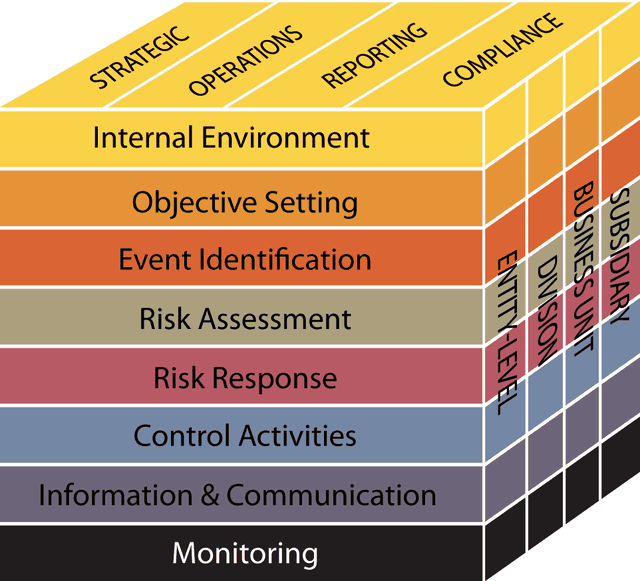 SOX compliance requires the implementation of internal controls to monitor the SOX procedures. SOX processes document regulatory requirements, requiring organizations to manage compliance issues in an efficient way. The Sarbanes Oxley Act (SOX) introduced an intense new focus on the documentation, auditing, and governance of key business processes. In light of corporate scandals like Enron, Tyco and Worldcom, this type of compliance legislation served to protect investors by improving the reliability and accuracy of corporate disclosures. Managing efficiently SOX compliance processes requires the right approach and a rigourous methodoloy. Implementing the new legislation means applying well-thought-out internal controls that identify weaknesses – a good overall business practice for any organization. However, it also presents business and IT managers with a complex task that involves increased responsibility and liability, and many get bogged down with auditing and reporting procedures. While Sarbanes-Oxley has issued forth a new wave of compliance stringency, and SOX compliance requirements will continue to become more demanding, Interfacing is here to assist you. We lead the way to corporate transparency with our easy to deploy and comprehensive solutions for all your compliance, risk and process management needs. EPC allows business users to define and share your organization’s governing policies, so as to ensure compliance. By automatically applying these policies to the related processes, EPC takes care of compliance for you. EPC standardizes processes to meet compliance with corporate and regulatory policies, eliminating many of the errors created by manual compliance solutions. By automating the processes and providing appropriate reporting and tracking, errors can be avoided, resulting in significant cost savings. Complete audit trails that allow you to track all processes and changes can be extracted and reported – a vital component for managing change and ensuring process compliance to standards and regulations. This improved visibility allows you to identify and correct weaknesses with ease. Enterprise Process Center streamlines processes and their development and allows for their fully integrated end-to-end management. Our BPM solution helps you cut through the clutter and maximize the effectiveness of your processes every time. Enterprise Process Center lets you streamline and automate your compliance initiatives, including reporting and executing change, which lowers the soft and hard costs of compliance and risk management. Interfacing Technologies’ Enterprise Process Center (EPC) software is a Business Process Management (BPM) solution that provides more than the ability to manage compliance initiatives. It allows you to move from a reactive approach to SOX compliance requirements, to having a fully dynamic risk management and better business process management infrastructure. Improve the overall operational efficiency of your organization. Interfacing Technologies’ Enterprise Process Center™ (EPC) software package meets your SOX-specific and other compliance enforcement needs, while optimizing your ongoing risk and compliance management and operational efficiency. Complete audit trails that allow you to track all changes can be extracted and reported – a vital component for managing change and ensuring process compliance to standards and regulations. EPC’s ability to capture process performance data and make that data available to participants gives your organization the real-time feedback necessary to stay on top of process performance. The CEO of one of the United State’s leading energy marketers was faced with the challenge of ensuring managers a sense of assumed ownership and accountability of the company’s processes. Because of its simple, straightforward methodology, even the most complex processes were simplified and understood at a glance with Interfacing’s Enterprise Process Center (EPC). Intimidation was turned into confidence and the business users found it easy to document and review their processes and related controls on an ongoing basis. For the CEO, that delivered great peace of mind. Using the EPC software not only allowed the company to streamline its processes and engage all levels of management, but also prepared them for the regulatory SOX audits that had become a part of their daily jobs. Furthermore, the auto web publishing allowed the CEO to view all process areas and review process-ownership reports, so he could determine who was on time and who was delayed in the review and approval of their processes and related documentation. This transparency of ownership and actions across all levels ensures process maturity at the required level for Sarbanes-Oxley compliance. Another reason why Interfacing’s EPC software is continuing to play a fundamental role in supporting the SOX process.